Who needs a racecar when you have this? 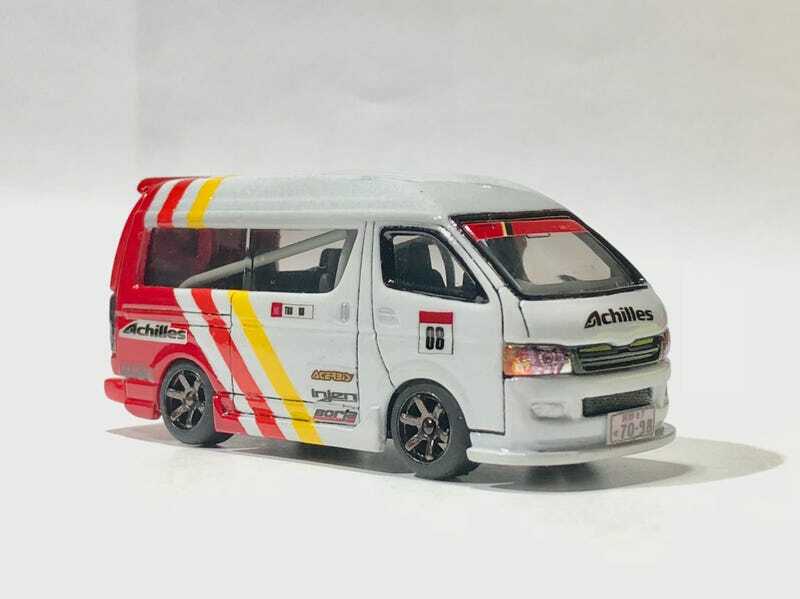 So recently i made a custom 1/64 Tomica. I was thinking of what will i change or make since it wasn’t mint at all and it’s at a bad condition. Then i went into Google. Searched. So the one that gave me an idea is this. Yeah it doesn’t look like it. But i had the idea. “Racecar” “Racecar!” Racecar!!! So tweaked it up and had my own made livery. Added some real manufacturing parts decals. Added the Kreauto Wheels. They look like Te37s. I entered it at a local custom diecast contest. Which came in at 2nd place for being at the best paint! It had great details from window linings and decals. Don’t forget the rollcage inside. And plat numbers. I wanna hear some opinions! Pic are taken using the IPhone X.